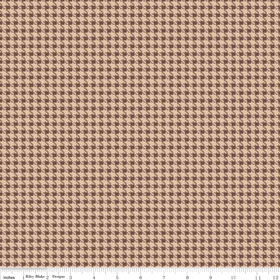 Brown Cowboy Houndstooth from the Roundup! Collection By Samantha Walker for Riley Blake Designs. 100% quality cotton. 44-45" wide.